#18. No I.D. f/ Common & Dug Infinite "State to State"
Although "Sky's the Limit" was the lead single and video from No I.D. 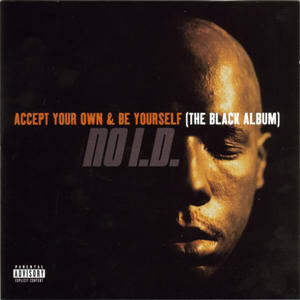 's debut (and only) album, Accept Your Own & Be Yourself (The Black Album), the project is probably best known for the track "State to State," featuring Common and Dug Infinite. This song is a testament to the chemistry that No I.D. and Common shared while working together during the early parts of their careers—the whole is greater than the sum of its parts. In 2010, Common and No I.D. reunited for the first time in 12 years for a Gatorade-sponsored track with Lupe Fiasco and Jennifer Hudson. Common has hinted that No I.D. will be handling some production on his upcoming album, The Believer, but only time will tell if that chemistry is still there. And can someone please find Dug Inf?